Imagine yourself as a scholar, an official, or an artist in thirteenth century China, how would you spend leisure time during winter? How would you celebrate a beautiful day with your colleagues and friends? 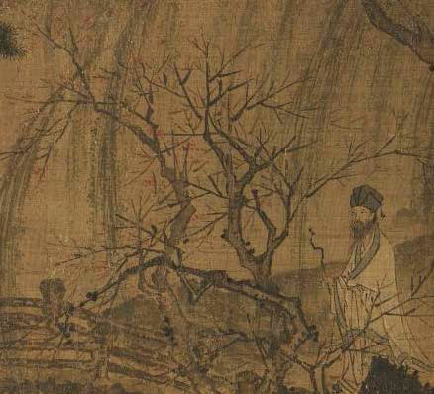 Bathing in gossamer moonlight of a winter night, one way that thirteenth century Chinese scholars (or literati), officials and artists would enjoy themselves was to attend a salon in a friend’s garden. Accompanying music and dance by the singing girls, they appreciate the flowering plum along the garden’s winding stream; after drinking wine, they write a poetry in response to a friend’s lines; some create paintings of plum blossoms, others inscribe commentaries in calligraphy on the painting.